Main objective of this report is to analysis Foreign Exchange Operations of Agrani Bank Limited. The Banks provide different types of product and services to its counter parts like, Foreign Exchange services or finance or investing that results transaction of currency. Also fovus on foreign remittance of the Agrani Bank. Finally identify problems regarding transaction and suggest probable measures in order to solve the identified problems. In service sector banking is very emerging field in today’s family and business life. In our country banking is profitable industry than many other countries of the world. After the liberation war most of the bank was under government control. In my report I am going to show the services that Agrani Bank Limited is offering to the market in foreign exchange. With globalization our country also takes part in global and international business. Manpower is now a very potential sector of government to export. There is not need to explain how much we are being engaged with foreign exchange. My report is an effort to introduce all the services of ABL regarding foreign exchange. My other objective is to show how for it is to take part in international business. It is a way to encourage our business men to take part in import export business. And the last one is how foreign exchange affect our country’s economy, our family life and soon. To suggest probable measures in order to solve the identified problems. Executives, officers, stuffs of the branch & head offices. Customers or clients of the branch. Agrani Bank is a state-owned commercial bank of Bangladesh established in 1972. Its headquarter is situated at Motijheel in Dhaka, the capital city of Bangladesh. It started functioning as nationalized commercial bank taking over assets and liabilities of the erstwhile Habib Bank ltd and commerce Bank ltd. function in the East Pakistan. It has been privatized on 15th November 2007 and emerged as Agrani Bank Limited (ABL) taking over assets, liability and goodwill of Agrani Bank. The authorized capital of the Bank is Tk. 800 crore. Agrani Bank Limited, a leading commercial bank with 867 outlets strategically located in almost all the commercial areas throughout Bangladesh, overseas Exchange Houses and hundreds of overseas Correspondents, came into being as a Public Limited Company on May 17, 2007 with a view to take over the business, assets, liabilities, rights and obligations of the Agrani Bank which emerged as a nationalized commercial bank in 1972 immediately after the emergence of Bangladesh as an independent state. Agrani Bank Limited started functioning as a going concern basis through a Vendors Agreement signed between the ministry of finance, Government of the People’s Republic of Bangladesh on behalf of the former Agrani Bank and the Board of Directors of Agrani Bank Limited on November 15, 2007 with retrospective effect from 01 July, 2007. Agrani Bank Limited is governed by a Board of Directors consisting of 13(thirteen) members headed by a chairman. The Bank is headed by the Managing Director & Chief Executive Officer; Managing Director is assisted by Deputy Managing Directors and General Managers. The bank has 10 Circle offices, 30 Divisions in head office, 53 zonal offices and 868 branches including 27 corporate and 40 AD( authorized dealer) branches. Exchange transactions in addition to international money transfers, and offering other customer services such as safe keeping, collections and issuing guarantees, acceptances and letters of credit. Core business of the Bank includes- deposit mobilization and lending activities comprising short- term, long- term, import and export financing. Financing activities are extended to different sectors of the economy that could be grouped in to several sectors including Rural & agriculture, Garments & Textiles, Jute, Cement & Bricks, Tannery, Steel & Engineering, Food & Beverage, Chemical & Pharmaceuticals, Printing & Packing, Glass & Ceramics and Miscellaneous. ABL mission is to provide Banking services to their valued clientele with utmost proficiency and sincerity reinforced by an efficient workforce and the latest state of technology. By assuring satisfaction to the customers, through a proper training of its most selected group of employees, it plans to pursue its mission. Also it plans to accomplish its mission through the constant innovation of its product line and establishing constant network with prospective corporate client. Agrani Bank Pension Sanchay scheme. Agrani Bank Bishesh Sanchay scheme. Term Loan – The Bank takes collateral against giving any Term Loan to a firm. Bank prefer short- term loan (like- current assets, accounts receivable and inventory) which can be transferred in to cash much sooner than fixes assets. Loan (General) – Bank does not take any collateral. For a specific purpose this short period loans are taken. Only a note is used by the Bank which is signed by the borrower where states the conditions and length of taking this loan including interest rate. Secured Overdraft (SOD) – In it, Bank takes security of customer’s FDR or balance in DPS/ SDPS/ MDS/ SDS/ EDS A/Cs are marked as lien. Transport Loan – To buy any type of transport, the borrower apply for this loan. Here, the collateral is only that transport which the borrower will buy by this Transport Loan. House Building Loan – For giving this house loan the Banks takes collateral of that house’s land and building. Payment against Document (PAD) – Suppose customer’s documents are alright but importer is willing to retire the documents – In this case, Bank is obligated to pay price of exported goods. Since importer did not pay for bill of exchange, this payment by bank is one kind of credit to the importer and this credit in banking is known as PAD. Loan against Imported Merchandise (LIM) – Everything is O.K. but importer fails to clear goods from the port and request bank to clear – In this case, Banks clear the goods and takes delivery like same, by paying customs duty and sales tax etc. So, this expenditure is debited to the importer’s account and in banking it is called LIM. Loan against Trust Receipts (LTR) – Advance (Loan) against a Trust Receipt obtained from the Customers, which are allowed only to the first class tested parties. When the documents are covering an import shipment or other goods pledged to the Bank as security are given without payment. However, for such advances prior permission/sanction from Head Office must be obtained. The customer holds the goods or their sale-proceeds in trust for the Bank, till such time, the loan allowed against the Trust Receipts is fully paid off. Consumer Finance Scheme – There are branches and finance centers under this division which have qualitative workforce of employees. Some of the services provided by this division are unsecured personal loans, credit cards, and vehicle related lease etc. Hire-Purchase Scheme – As Bank make their own investment in Government securities (like- Government treasury bills, prize bonds, Bangladesh Bank bills, special treasury bonds & reverse repo) and in other investment which sometime borrower wants to hire as a loan from the Bank. That is why this loan is known as hire of Bank’s purchase scheme. ATM Banking – Agrani Bank Ltd. has implemented successfully Automated Teller Machine (ATM) /DEBIT card transaction from June 25, 2008. Through Automated Teller Machine (ATM) /Debit card, customer can avail the facilities like withdrawal money, balance inquiry and purchase goods. SMS Banking – Agrani Bank Ltd. has officially launched SMS banking service from December 17, 2008. Lockers – For safekeeping of customer’s valuables like important documents and goods like jewelries and gold ornaments, ABL Locker Service is available in most of the Branches in urban areas. Their nature of service is like custody of locker/ safe and nature of charge is like rent. Education Remittance – Students who are desirous (wishing or wanting) to study abroad for them this Bank is giving education remittance service. In this service, this Bank assures their remittance of funds in abroad for study. ABL has already adopted the Credit risk management Guidelines issued by the Bangladesh Bank for improving the risk management culture, establishing minimum standards for segregation of duties and responsibilities, and promoting the ongoing process for improvement of the Banking Sector in Bangladesh in the context of globalization. This puts in place a robust process for proactive management of loan portfolios in order to minimize Loss and enhance return to shareholders. The Bank has introduced credit policy guidelines for CRM. In ABL has a separate Human Resources Division (HRD) to manage the employee policies and practices. In 2011 total human resources strength of ABL was 14,209. Bank follows a standardized human resources policy. The Bank has defined HR policies including recruitment, training & development, promotion, leave, transfer, and disciplinary action policy. Usually internal recruitment procedures are considered to fill up the mid and top management positions, while entry-level positions are filled with regularly through competitive recruitment exams. The Bank established fully equipped training centre. To assess Bank’s corporate governance practices CRAB evaluates the quality of financial reporting and disclosures, strength of internal control system and internal audit function; induction of professionally competent, independent non-executive directors on corporate Board, formation of audit committee; delegation of power to executives and staff; protection of shareholder rights etc. ABL has addressed most of the issues of corporate governance for strengthening organizational strength. But the Bank has not yet appointed independent director which is required by SEC. Foreign trade can be easily defined as a business activity, which transcends national boundaries. These may be between parties or government ones. Trades among nationals are a common occurrence and normally benefit both the exporter and importer. In many countries, international trade accounts for more than 20% of their national incomes. Foreign trade can usually be justified on the principle of comparative advantage. According to this economic principle, it is economic profitable for a country to specialized in the production of that commodity in which the producers has the greater comparative advantage and to allow the other country to produce that commodity in which it has the lesser comparative advantage. It includes the spectrum of goods, services, investment, technology transfer etc. This trade among various countries causes for close linkage between the parties dealing in trade. The bank which provides such transactions is referred to as rendering international banking operations. International trade demands a flow of goods from seller to buyer and of payment from to seller. And this flow of goods and payment are done through letter of credit (L/C). In a bank where people can do transaction in foreign currency is called foreign exchange. Any kinds of dollar transaction are done by this section. ABL’s foreign exchange section is working with the head office internal division. The full process is governed by Bangladesh bank. Any kind of transaction in foreign currency is a sensitive issued. Foreign exchange is a process which convert one national currency into another and transfer money from one country to other countries. Bangladesh is mainly an import oriented country. So, L/C is a very important import document which is issued by Bank. In international market two parties are not known to each other. The importers of Bangladesh give an L/C to exporters of foreign country to give the assurance of payment. ABL is opening L/C in favor of their clients. When exporter’s foreign document comes to ABL, ABL collect payment from foreign bank for its party. ABL purchase bill if their party need early cash. ABL sale dollar against passport. The rate of exchange is given by Bangladesh Bank which is changed every day. Payment of DD, MT,TT etc. Issues and enhancement of traveler’s cheque. Revocable L/C: If any letter of credit can be amendment or change of any clause or cancelled by consent of the exporter and importer is known as revocable letter of credit. Irrevocable L/C: If a letter of credit can not be changed or amendment without the consent of the importer and exporter is known as irrevocable letter of credit. A letter of credit is issued by a bank at the request of an importer in favor of an exporter from whom he has contracted to purchases some commodity or commodities. The importer, the exporter and the issuing bank are parties to the latter of credit. There are one or more than one banks that are involved in various capacities and at various stages to play an important role in the total operation of the credit. Expiration date: Which is specified the latest date document may be presented. In this manner or by including additionally a latest date, the buyer may exercise control over the time of shipping. Documents required: Which will normally include commercial invoice consular or customer invoice, insurance policies as certificate. Bill of lading: A bill lading is a document of title to goods entitling the holder to receiver the goods as beneficiary or endorsee and it is with the help of this document on receipt form the exporter that the importer takes possession of the goods form the carrying vessel at the port of destination. Airway bill / Railway receipt: When goods to be transported are small in bulk or requiring speedy delivery or those are perishable in nature on the deal is in between the neighboring countries then mode of transports other then shipping may be resorted to far the carriage of the goods Airways bill /Railway receipt take place of Bill of lading depending on the nature of the carrier. Commercial invoice: It is the seller’s bill for the merchandise. It contains a description of goods, the price per unite at a particular location, total value of the goods, packing specifications, terms of sale, latter of credit bill of lading number etc. There is no standard form far a commercial invoice. The invoice is made out by the seller under his signature in the name of the buyer and must be submitted in a set of at least 3 copies. Insurance policy: In the international trade insurance policy is a must to cover the risk of loss on consignments while they are on seas, roads, and airways. The insurance is the responsibility of the buyer (consignee) under FAS, FOB and CF contracts and of the seller (consignor) under CIF contract. The policy must be of the type as specified in the relative /credit. Certificate of origin: This is a certificate issued by a recognized authority in exporting country certifying the country of origin of the goods. It is usually by the chambers of commerce. Some time, it is certified by local consul or Trade Representative of the importing country as per terms of the credit. Packing list: The exporter must prepare an accurate packing list showing item by item, the contents of the consignment to enable the receiver of the shipment to check the contents of the goods, number and marks of the package, quality, per package net weight, gross weight, measurement etc. Weighting and Measurement: Issued by recognized authority (like chambers of commerce and industry) in exporting country certifying correct weighting and measurement of the goods exported. Bill of Entry: A bill of entry is a document which contains the particulars of the imported goods as well as the amount of customs duty payable. Authenticity of L/C (Test agreed in case of Telex L/C and signature verified in case air mail L/C. Merchandise specified in the L.C is permissible and clauses incorporated in the L/C are not against country’s regulations. FDBC: If the export document is not purchase by ABL it is called Foreign Documentary Bill Collection. At the maturation data of export bill ABL collect the payment for party. The collection process is same as LDBC. Only the postage charge is high. The postage charge is Tk. 800 within SAARC countries within Asia Tk.1500 and outside Asia is Tk. 2000. ABL is receiving a L/C of $ 20000 from Bank of China. Tanzim Enterprise what the money right now. So they sale to ABL and get 90% of payment. ABL gives an FDBP No. When bill is purchased, ABL creates a FDBP $20000×90%=18,000 will be given to Tanzim Enterprise right now. After these cost is deducted from rest of 10% L/C amount. Tanzim Enterprise get the payment. Back to Back L/C can be divided into two types: Foreign and local. ABL issue or advice this kind of L/C. It is opened against a master L/C to do business aboard. Payment is given in other country. It is used to do business in Bangladesh. It is opened against a master L/C. ABL receive a big amount of profit from back to back L/C. ABL is not a mysterious entity. They are business people just like the importers & exporter. They are in the business of lending money for the purpose of financing attractive proposals. The suggestions they make can save considerable expense and Tim of international businessman. ABL can work as advising bank or issuing bank. For example against $ 2,00,000 master L/C, $ 1,80,000 loan facilities is given. $1,50,000 is given when L/C is opened $ 30,000 is given after receiving documents. The word Remittance comes from the word “remit” which means to transmit money/ fund. In banking terminology, the work remittance means transfer of fund one place to another. When money transferred from one country to another country is called Foreign Remittance. All kind of remittance comes to the head office server of ABL SWIFT is used to transfer money. When remittance comes to the head office it is sent to different branches for final payment. Remittance can become & go in following ways. Western Union money transfer is very popular in Bangladesh. ABL is first to contract with Western Union. As a result inward remittance can come to Bangladesh in a minuet from anywhere of the world. People can collect from any branch of ABL from Bangladesh. For it the receiver don’t need any bank account with ABL and they don’t need to pay money. With any branch of ASA the people can collect money which is very helpful for village people. Receiver goes to any branch of ABL with national ID Card and take the money by filling a from. To full control of foreign Exchange Bangladesh Bank, has many controlling form and information system for all commercial bank. ABL also has to follow it. ABL has many type of reporting form and one IT system to inform Bangladesh Bank about dollar transaction. When import L/C is issued by a bank or ABL, IMP form is needed to keep a record and inform Bangladesh Bank. It is 6 copy from 1st copy is used to report Bangladesh Bank. Second copy is to get the delivery of product. Third and fourth copy is for CCI. Now this record kept by Bangladesh Bank. Fifth and Sixth copy is kept in foreign exchange L/C file of ABL. Exp form is used in export like IMP form is used in import. To get Exp for party have to show L/C and contract like preformed invoice commercial invoice etc. Exp form has to be verified by customs and then exporter ships the goods. TM form is used to sell cash dollar. When cash dollar is going out Bangladesh Bank need a reporting MT form? When remittance is coming in Bangladesh a C form given by ABL to Bangladesh Bank. At the month end how much import, export, foreign remittance comes and goes out is reported by this software program. At first the officer will give the posting, then make schedule, checked by foreign exchange head that statement is created and sent to Bangladesh Bank with different colored pages. The month end statements should be submitted within date 5 of a month, wrong posting is punishable worth Tk. 5,00,000 for the Branch and Tk. 10,00,000 for the officer. SWOT Analysis is the detailed strategy of an organization’s exposure and potential in perspective of its strength, weakness, opportunity and threat. This analysis used the organization to make their existing line of performance also foresee the future to improve their performance in comparison to their competitors. By SWOT Analysis, an organization can also observe their current position. It can also be considered as an important tool for making changes in the strategic management of the organization. Service charges are comparatively reasonable. ABL should make a database to maintain their registry records in to the Computer. So by only giving a ‘search’ command they may find out their required clearing information. ABL should open their branches in the business area like near EPZ, port etc to provide prompt services to importer and exporter. Local L/C is not introduced in our society very much. ABL can give attention to attract local businessman for convincing them about local L/C. Where computer leads every sphere of lives including banking activities most of the ABL’s employees are still not expert on computer literacy. So for it, the management should give computer training to their employees. They may make a database or search for other solution to prepare their debit and credit voucher. As by adopting a better solution will make their work easier. Prompt attention should be given to the FDR customers if the bank does not want to lose new customers. Many new commercial banks have been established in the last few years and these banks have made the banking sector very competitive. So, now the banks have to organize their operation and do their operations according to the need of the market. The major task for banks, to survive in this competitive environment is by managing its assets and liabilities in an efficient way. As an internee student of Agrani Bank Ltd at Shyamoli Branch, I have truly enjoyed my internship from the side of learning to the side of experiences viewpoint. I am confident that three month internship program in ABL will definitely help me to realize career in the job market. But during my internee it was not much possible for me to go to the depth of branches’ sections thoroughly because of the time limitations. 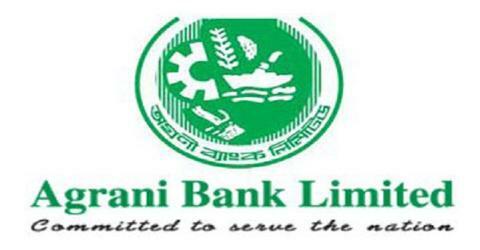 Agrani Bank Limited (ABL) is one of the widely expanded Banks in Bangladesh. Due to the threat of deposit shortage, this Bank may minimize its different types of unnecessary expenditure and should maximize profit through launching new schemes and obtain different people’s belief.